From the humble roots kayaking on the canals of Britain following his parents’ barge, Ant quickly moved onto greater challenges including taming the large white water playgrounds of Europe, winning extreme white water events (Boater X) competitions and enjoying the outdoor lifestyle which includes a wide variety of outdoor sports (all of which are addictive). Ant eventually found Pembrokeshire… he never looked back! Sea kayaking to offshore islands, surf kayaking and settling down became a new challenge which he was happy to accept. 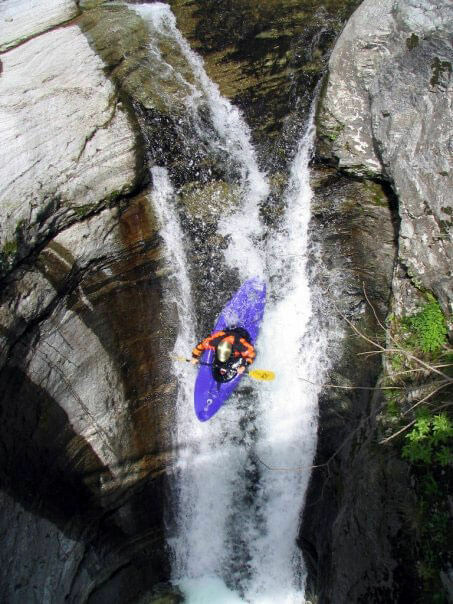 Which brings us to the creation of Kayak-King. Kayak-King allows you to enjoy everything that the Pembrokeshire Coastal National Park has to offer with the knowledge that you have professional and safe guides looking after you. I started off being a little nervous of sea kayaking but within seconds of sitting atop the kayak all worries went away. We spent the rest of our 2 1/2 hours with smiles on our faces having the best time. I would highly recommend this and can't wait to go out again with Kayak King! If you are thinking of doing this - book it now, you won't regret it. Had an amazing time with Libby as she took our family around the sea caves; saw a new species of dove, seals sleeping on lobster boxes and pseudo sea monster blowing steam from a cave. Absolutely amazing time. Can't wait to do it again!